All Rights Reserved to Rashdan Enterprises. Striving to turn your environment into a vivid expression of your personality. Share your inner most design instincts with friends and family, letting them into the new world you've created & the values you believe in. Whether you prefer prestige, purism, complete coziness or a mixture of everything, the ultimate decision rests with you alone. 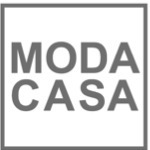 The good news is that Moda Casa is on hand to help you right from the beginning. Discover a wealth of different kitchen ranges, sofas, chairs, wardrobes, walk in dressing rooms and dining tables, & the enormous freedom of choice we provide.